If you’re thinking about buying your first electric vehicle or are a long-term owner, there are plenty of opportunities to meet and learn from other like-minded EV enthusiasts. 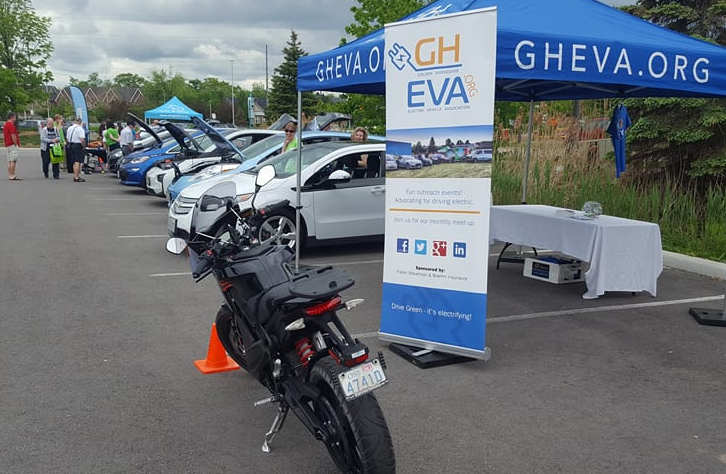 EV Society has 12 chapters across Ontario actively involved in organizing and supporting community events that help encourage the adoption of electric vehicles. Outreach at dozens of such events each year involves hundreds of enthusiastic owners who have driven millions of EV kilometres. 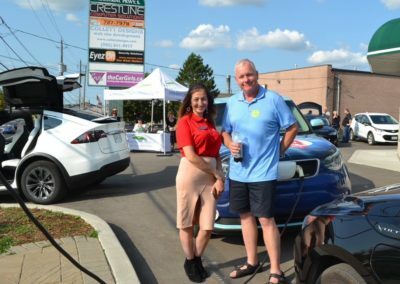 They provide Ontarians with a chance to learn from our real-life experiences about how possible, positive, profitable, and fun EV ownership is. And join a meeting on us for free! We host meetings regularly where we discuss industry news and work on initiatives and opportunities to advance EV adoption. Use the list below to find a meeting near you. When you join Electric Vehicle Society, you are adding your voice to the rapidly growing EV movement. Your participation helps us advocate for EV-friendly government policies and will help us promote increased EV adoption. In addition, we offer a range of benefits for a small annual fee. Click below to find out more! The best way to facilitate adoption of EVs is to provide experiential engagement and testimonials. If you are looking to share your EV experience and enjoy meeting new people, come out and volunteer for local events and community outreach near you! Please download the Volunteer Form here and send it in to us. We look forward to having you onboard! Like what we do and want to help accelerate EV adoption? Sponsorship funding helps us to develop materials and provide continuous public outreach. The benefits of sponsoring the EV movement mean associating your company with the rapidly growing EV marketplace and the progressive and innovative movement towards clean transportation. Contact us, we’d love to hear from you. Do you have a local group of passionate EV adopters, but no group in your area? Become your very own chapter! Spread the wealth of knowledge about the benefits of EVs, and share in the group rewards of establishing a chapter. Need some insight into running and belonging to a chapter? Join in on one of our monthly meetings. Contact us to learn more!